First time I've seen these two species together. 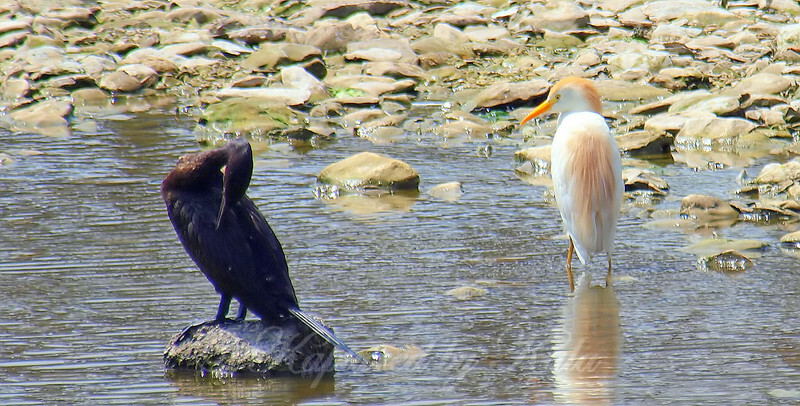 I see the neotropic cormorant there all the time. I have only seen cattle egret on the ground once before at this lake. Usually only seen doing fly overs. Look close at the egrets eyes, looks a bit deranged, lol.